Unique in Kirchberg! On a truly fantastic location, directly in the centre of Kirchberg (near a railroad) you find the detached chalet Kirchberg. 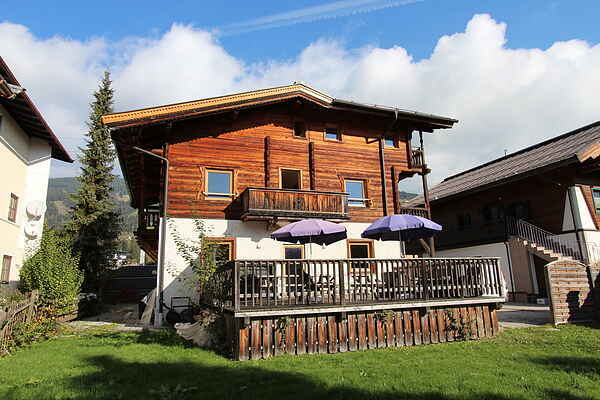 This characteristic wooden chalet was completely renovated in 2007 and fitted with all modern conveniences. The chalet covers three floors, has no less than 8 spacious bedrooms, 3 bathrooms and is therefore extremely suitable for a number of families holidaying together. All facilities are within walking distance so there is no need for you to use your car during your holiday. At the rear side of the house you find a huge garden where children can play undisturbed. Here you also find a spacious, wooden (south facing) sun terrace with garden furniture and sun loungers.